The President of the Near North Development Corporation (NNDC), Michael Osborne, has recently said in the Near North News (September 12, 2013) that raising the property values in the Near North area is the most important change that needs to occur to improve the Near North. Unfortunately, this is one of the most damaging ideas possible—much worse than doing nothing. Why do I say this? The Near North is home to many African Americans, their community. Many of them own their own homes though some may struggle economically. Many of them don’t own their own homes and also struggle economically, but their rentals are still their homes, their community. The question then becomes what will happen to these people and their community if property values rise. Those who own their homes will see their taxes increase to a point at which they will no longer be able to continue to own their own homes. Those who rent will see rents rise beyond their ability to pay, or the houses they rent will be sold. Either way both groups will have to move out of the area, destroying their community. Gentrification is the common term for this kind of initiative. Probably the most serious problem with gentrification is that it typically replaces low income African Americans or Latinos with upper middle income whites with maybe a face-saving dash of “diversity” thrown in. Or it replaces with white-dominated businesses, governmental institutions (like Ivy Tech), or non-profits (like the Children’s Museum). Of course, as many remember, this is what happened with IUPUI. 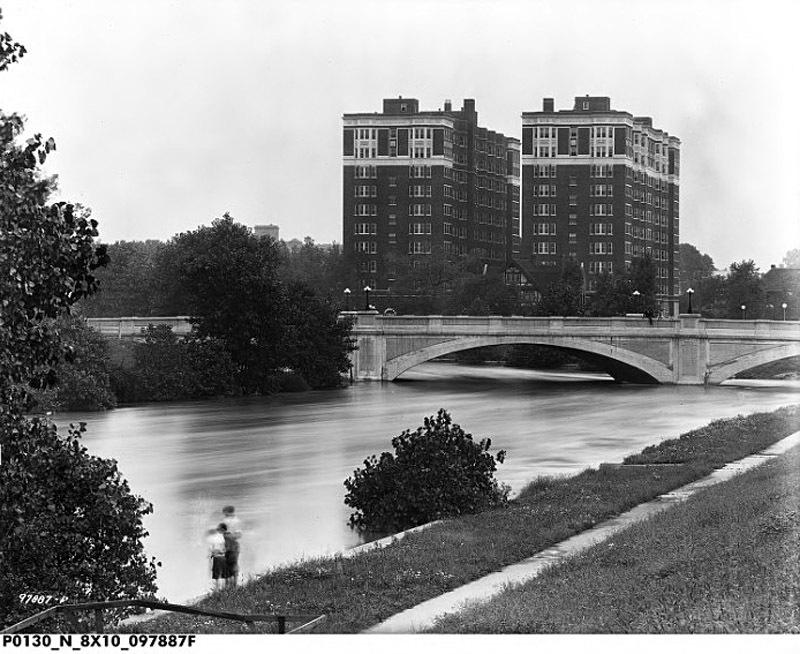 It destroyed an African American community with the construction of new university buildings. Whatever the replacement is, though, the effects are devastating to African American and Latino people and their communities. They lose their homes; they lose their communities; they lose the network of relationships that exist within their communities. 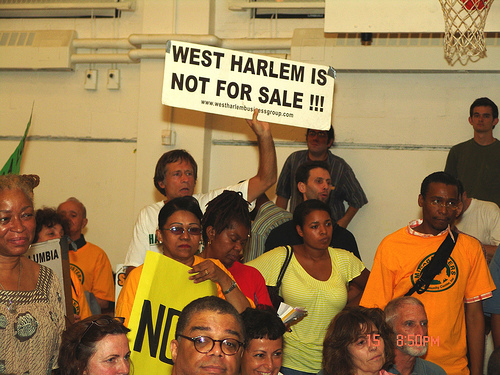 And, since the community’s residents have little to no influence on the decision to gentrify (a couple of “representatives” of the community participating in the decision making is not real community collaboration), the result is certainly anti-democratic and, in effect, biased against the African American community. Gentrification also raises the issue of where do the low income people who are displaced go. They are going to live somewhere, but where will this be? They will move to another area, and then this new area will have to be gentrified. It is like low income people become pawns to just be moved here and there without their participation in the decision to gentrify. Surely, the leaders of the community can understand this. Why move the issues of low income communities to another area where those issues will again have to be addressed. However, there is a better alternative, one that ought to be meaningful to conservatives and progressives, corporations and non-profits. This better alternative is community development. Community development means that instead of displacing and destroying the community, an effort is made to assist the community in improving the quality of life in that community. Funds, like the Wells Fargo payment for cheating African Americans on home loans, are provided to low income people to improve their homes. An effort is made to rehab vacant houses where that is possible, followed by affordable loans to those who could live in these rehabbed houses. Also, the local corporations and foundations commit to providing training to the unemployed in the community and then helping them to find decent jobs. Further, if institutions like Ivy Tech or the Children’s Museum need to expand within a community, they do so with an extensive collaboration with the residents of the community. In fact, all community development needs to be accomplished with such extensive collaboration. Rather than pushing low income communities here and there instead of addressing community development needs is just not good policy. Surely anyone in the leadership of the community, no matter where they live or what their politics are, can understand that development is a better long run policy than gentrification. Central to development is the understanding that there will never be an Indianapolis without people of many races and ethnicities, nor does anyone really want that. Also, in the present economic system, there are always going to be low income communities. Rather than devastate these communities by driving low income people out due to increasing home values, it makes much more sense to have a development plan that enhances the communities that already exists. Let’s build a positive future for ALL Indianapolis citizens. Let’s not operate under the delusion that gentrifying one section of town will not lead to moving the issues to a different geographical area in Indianapolis. Let’s not write off any of our citizens. Let’s operate in a way that values all citizens of Indianapolis, and let’s ensure that all communities have a major voice in any changes in their communities. Development is how you create an equitable democracy that we can all value. 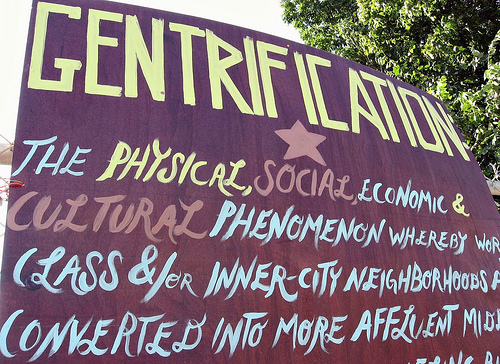 Gentrification is how you destroy communities. Let’s develop, not gentrify. The result will be a much better Indianapolis for everyone. And, incidentally, when this happens, property values will rise as an effect of the development effort.